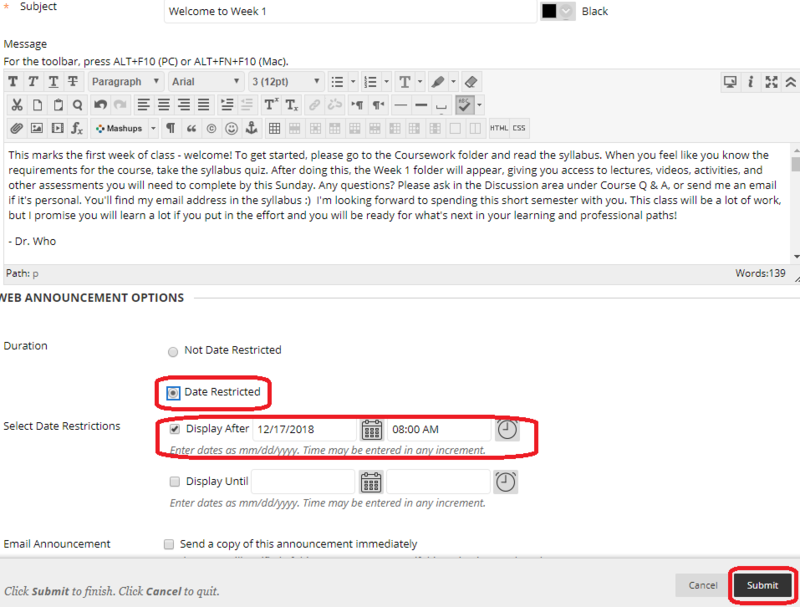 This document describes how to create a course announcement that appears after a specific date and time. Follow the general steps for creating an announcement. Then, under the Duration options section, choose Date Restricted. Check the Display After box. Select a date when you want the announcement to appear.